Last Update: June 2018. 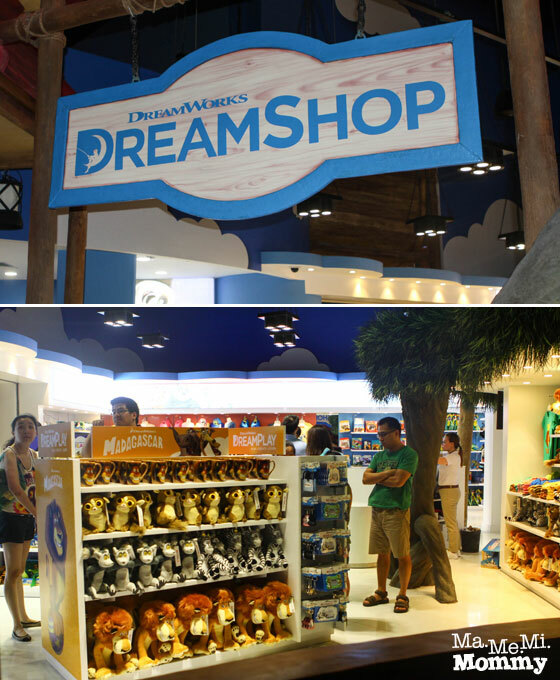 3 years after my first post, we were finally able to go back and experience DreamPlay again. This time, we went as a playdate group of mostly 4-7 years olds. Everyone had a grand time! Updated attractions and rates posted below. 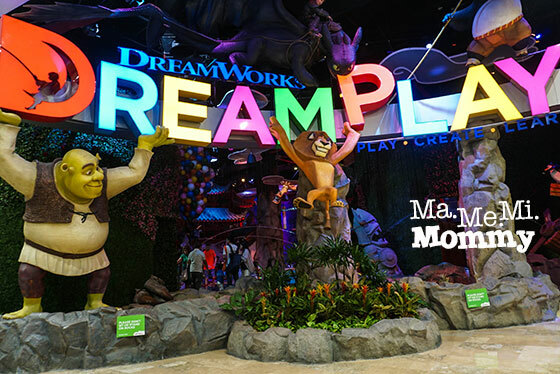 DreamPlay by DreamWorks in City of Dreams Manila is the first-of-its-kind indoor, interactive play and creativity center. 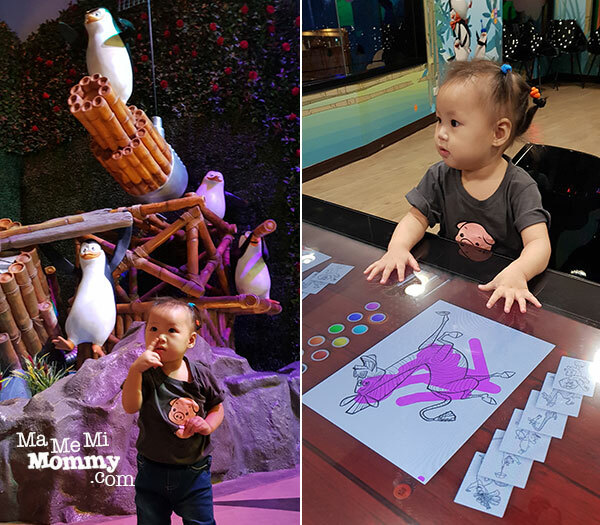 Built upon the incredible stories of DreamWorks and brought to life through the latest digital technologies, DreamPlay allows kids to experience their wildest dreams. Let’s go see what’s inside! You can buy your tickets online through SMTickets.com or you can purchase them right at the entrance. They accept cash, credit cards, and Dream Rewards points. They also have VIP and Family Passes for frequent visitors. Shrek’s home, the Swamp, was the first part that we went to. It’s like a mini hiking trail with tree houses, ball pools, and rope bridges. He’s also supposed to have lost his key but the kids were not successful in finding it. We even got to sit on his giant chair while he was not looking! I’ll have to find a clearer photo of us. These cool looking slides were snaking around in the next area. The spotted green one on the left is the wildest of them all. There is an attendant on top to make sure that participants meet the height requirement of 120cm. We were also asked to put on “dragon pads” or arm sleeves before going down the slide. 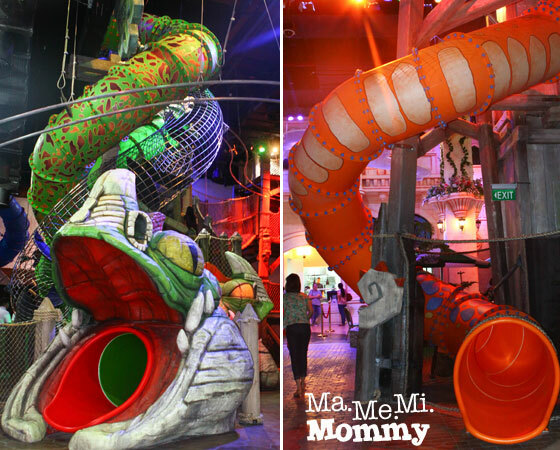 The orange slide on the right is a fun one, where even the younger kids can try. I tried it also with my 1-year old on me and she seemed to like it. You’ll search Hiccup’s collection of hand crafted dragon parts to create your own unique dragon. When done, you’ll climb to the top of Berk and fly it through the tracks (metal bars on top). 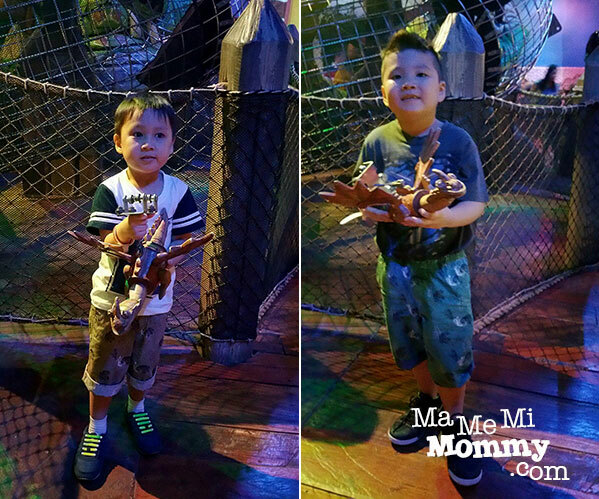 Here are the boys with the dragons they’ve created. Being a Kung Fu master is tough work. Training, training, and lots of training is needed. Try this for training! This is the view that will greet you while waiting outside. Various ropes hang from above for the brave participant to tackle and conquer. 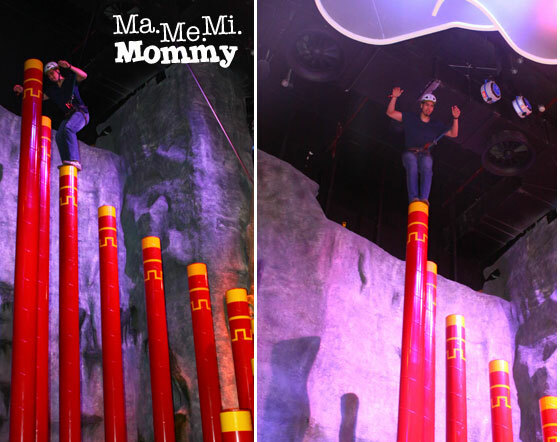 The participant is to climb up to the highest pole one pole at a time. Many of the kids who tried froze halfway. I would love to try this next time! 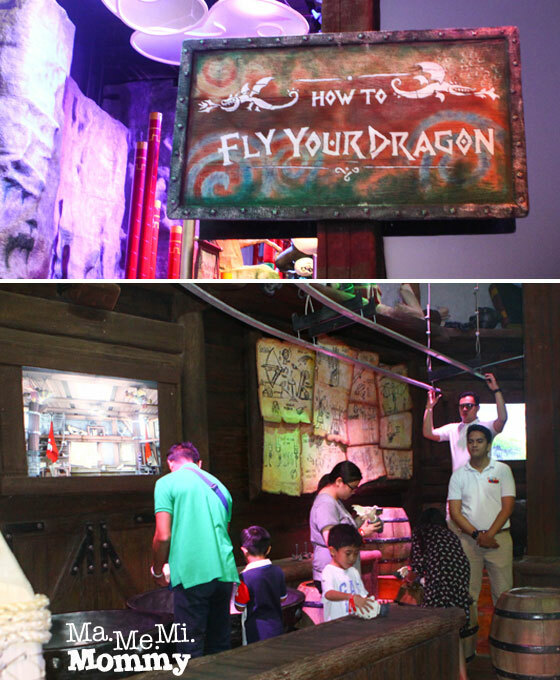 This is another attraction that I want to try. 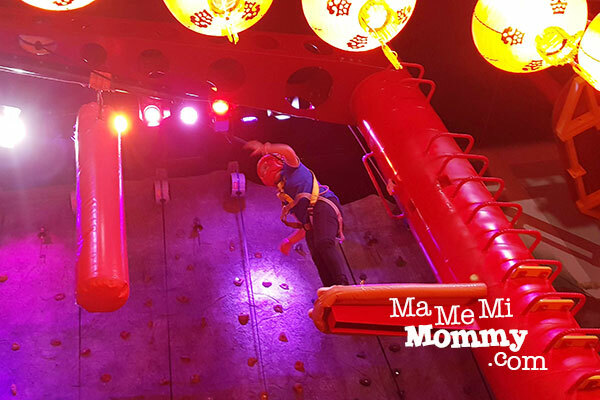 The participant climbs all the way up and she’s supposed to jump and grab the bag. There’s also rock climbing facilities. 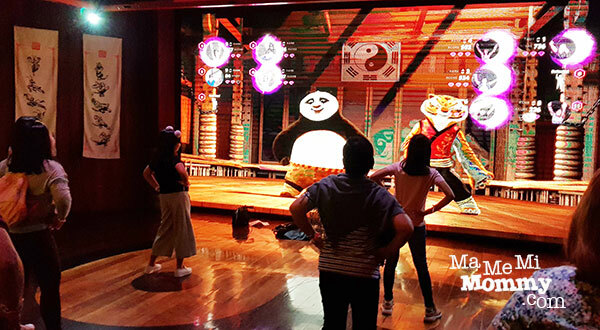 On the lighter side, join the Kung Fu Panda Dojo to practice some of the funny kung fu antics and moves. This is fun to do as a group and see who ranks first among all of you. 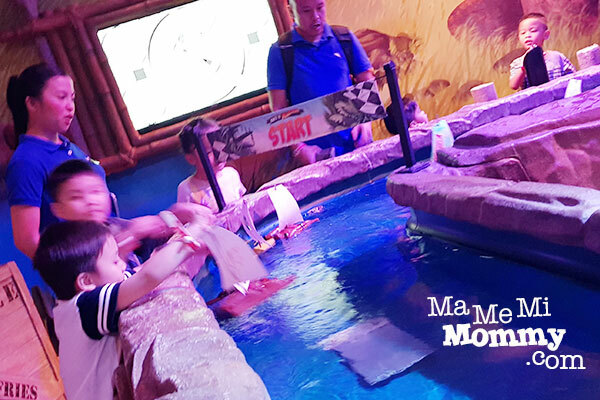 Help the Penguins of Madagascar assemble a boat and sail it down a river of obstacles. An attendant gives paper sails for the participants to decorate. 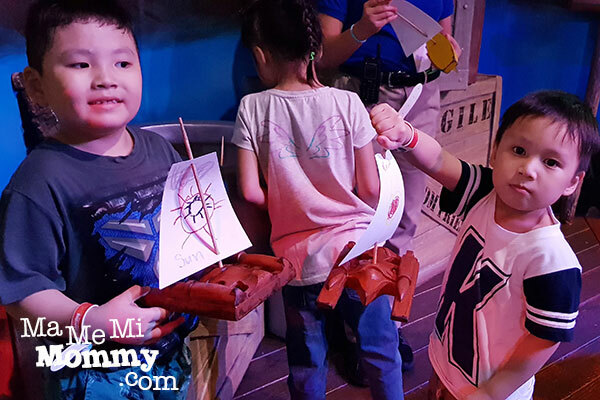 The boys spent very little time decorating as they were excited to sail their boats away! A circus themed playground where the kids can climb up and down safely and shoot balls. This was a big hit in our group. They all had fun collecting and shooting the foam balls. 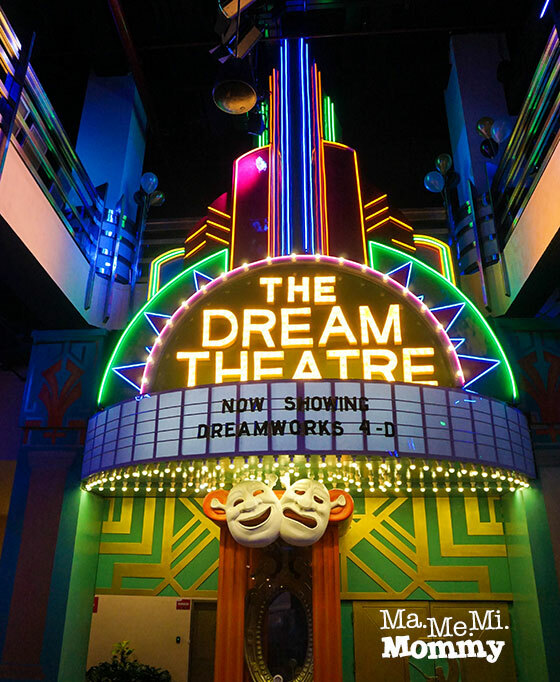 Make and direct your own animated movie at this attraction. Here’s a sample of my work. Too crude. Haha! Learn how to build and pilot your own Reptool then enlist the help of Ty and other Dinotrux to create a unique world. 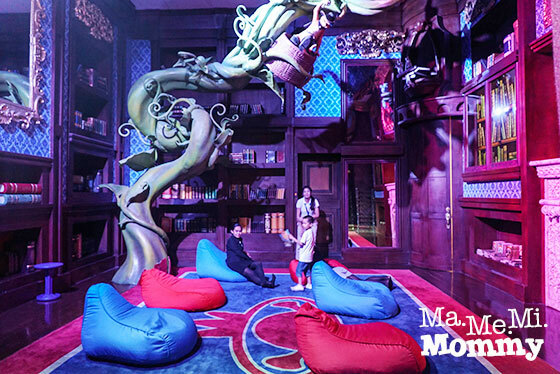 Guests can enjoy a quiet space and read some of their favourite DreamWorks stories here. 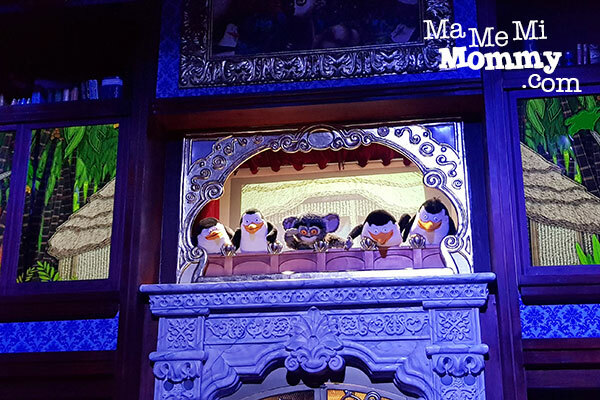 Some of our favourite characters also take the stage in a puppet show. 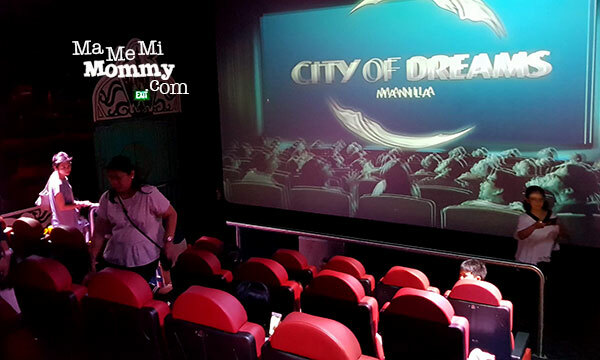 We were able to watch 2 shows here, one in 2D cartoons and the other in 4D. The kids enjoyed the 4D thoroughly! 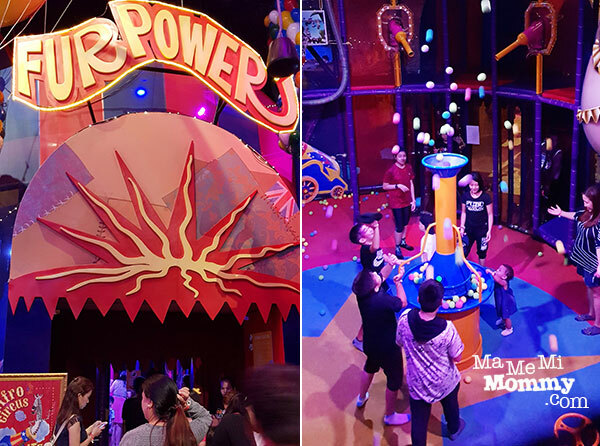 The place also comes with 3 themed private rooms with a total capacity of 120 seats where guests can celebrate occasions such as birthdays. 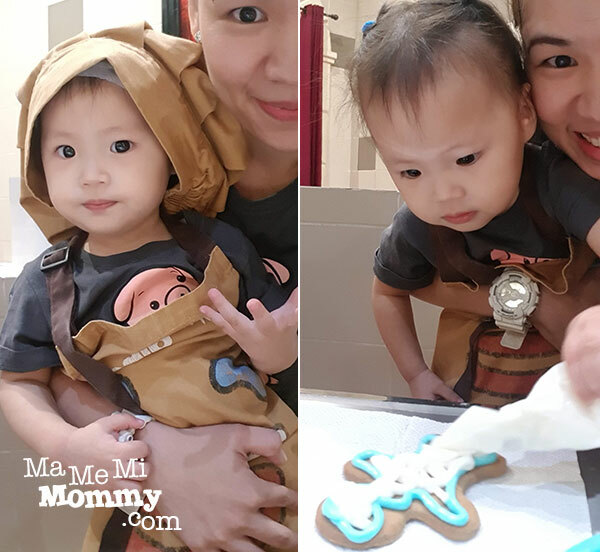 Learn how to make a gingerbread man from Gingy himself. 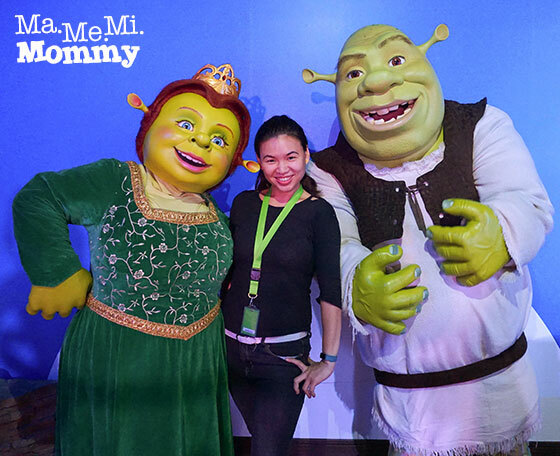 Shrek and Donkey make their appearance too so it makes for a wonderful and funny experience! Tip: Head here first and have your names registered. Slots fill up very quick so register first for your desired time and come back again when it’s your turn. Do watch out for these character appearances! 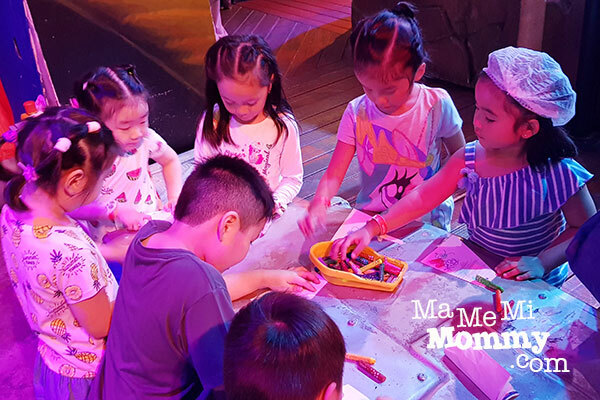 DreamPlay is indeed a venue to do those and so much more. 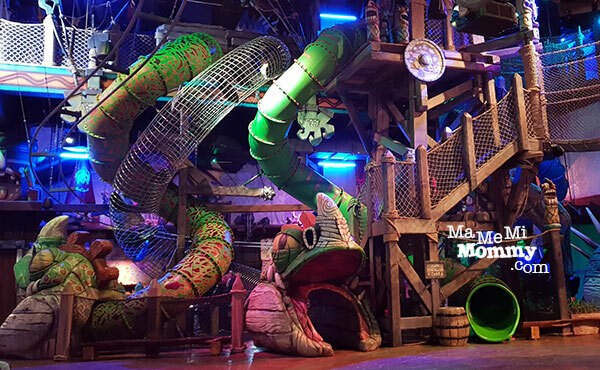 It’s literally a playground, a 5,000 square meter at that, for adults and children alike. 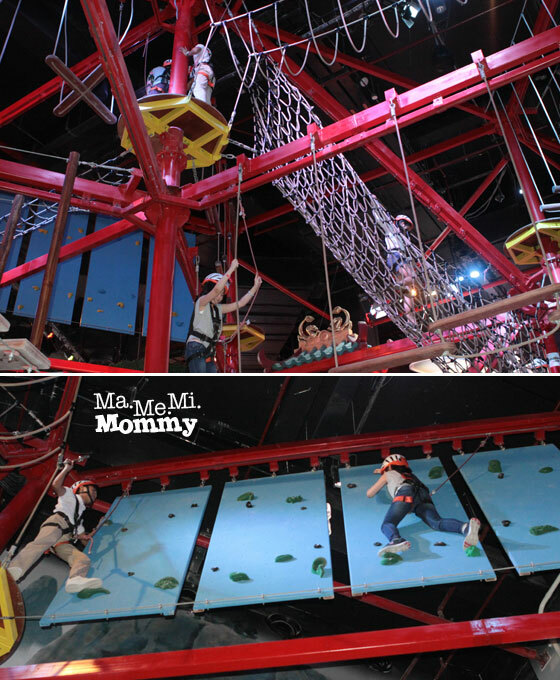 It’s very ideal for playdates, team building, or even simple family/friends outing. Yay!! Excited to bring Skye there. Pwede na kaya sya? She’s already very curious pero baka may mga di safe for her? 🙂 Usually talaga mahaba ang pila pag bagong bukas. I think mas lalala pa yan in he next few weeks. Oh, so excited to go visit with my kiddos! Thanks for sharing sis! Thanks for this!!! 🙂 been wanting to take my 5-year-old daughter here. May I know if the 2-hour option would be enough or should we take the 4-hour rate? Hi!thanks for sharing this.just curious if they accept credit cards for the entrance fee or cash basis only? Can we buy tickets online to avoid the long queue. Hi Dra Bing, I don’t believe that option is available yet. You Can Purchase Tickets at the SM Tickets website. Hi Miyo, hindi sila nagpapapasok pag walang batang kasama e. Although madami na nagraise ng concern na yun so hopefully they’ll amend it. They can get in for free and just look around hehe. So pwede pa sila til 3 yrs old walang bayad? We really need to go here! Ako talaga may gusto hahaha. Maikot na ba namin lahat if for 2 hrs lng? Like for pictures lang? Kasi hindi pa sila pwede sa attractions. Wow, mukhang sobrang sulit ang rates nila. I’d probably be the one who will enjoy a lot here, look at that stunts area, my kind of thing. 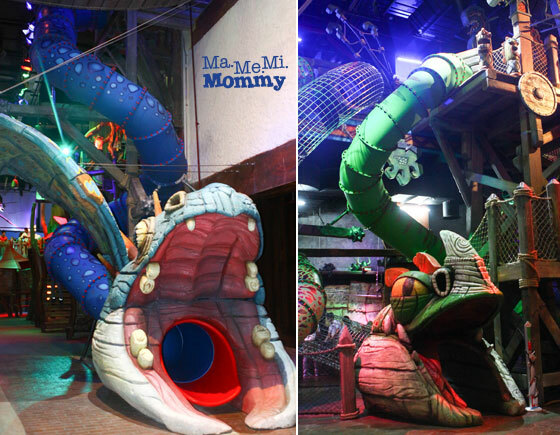 My baby is too young for the activities, but I’m sure she’ll enjoy looking around. Thank you for this post, great pictures. Thanks, Kat! 🙂 We’d have to go back also just to be able to try and enjoy the activities for ourselves. It looks really nice! Shared the link with some friends who might be interested to go. 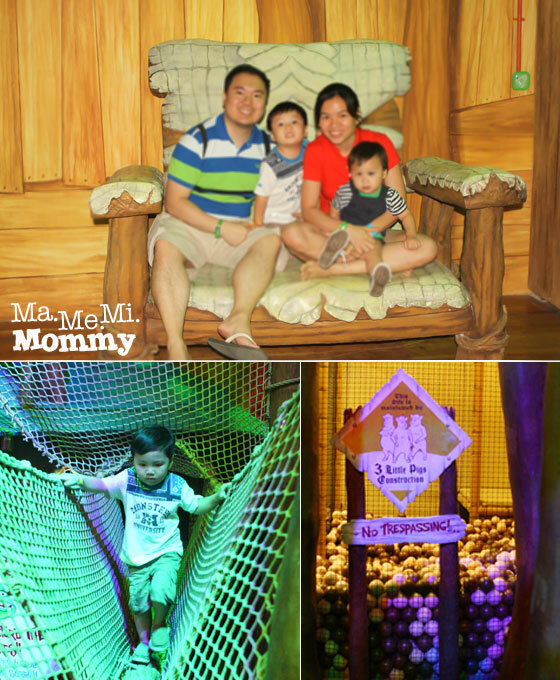 Sayang my kids are under 3 years old pa. We’ll probably go next year na lang when one of my two kids can actually enjoy the place more. But thanks for the info! Super informative! Thanks, Jackie 🙂 My kids too. A few more years before they can enjoy the daring attractions hehe. Sana malaki laki na ang daughter ko hihi! 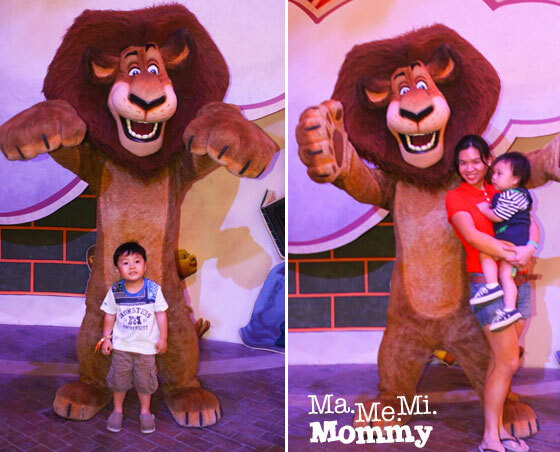 Mommy Levy recently posted…Family Day with Spongebob and Jollibee! So nice 🙂 I wanna go there ASAP. 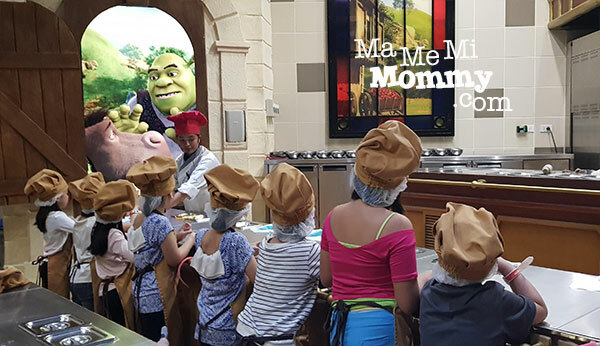 I’m sure the kids will enjoy :)) Thanks for sharing! hi, ask lang if what activity is suitable for 8 year olds so I can decide if I’m gonna take the 2 or 4 hours & if I’m gonna take the participating ticket. thanks! Thank you for sharing your experience. Very timely as we are going there tomorrow morning. Thanks for the tips. My daughter’s not yet familiar with Dreamworks’ movie characters but this place looks like one she would definitely enjoy playing at. 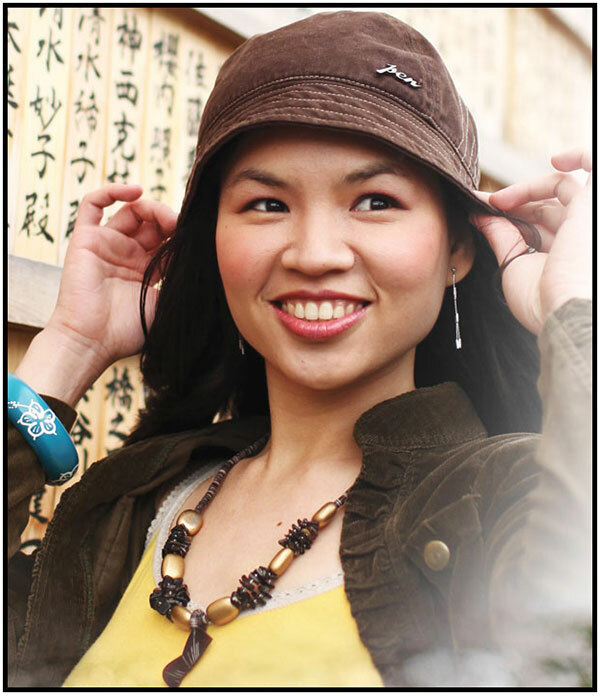 Rhoda Fajardo recently posted…Do you use Mood Boards for organizing your Ideas? 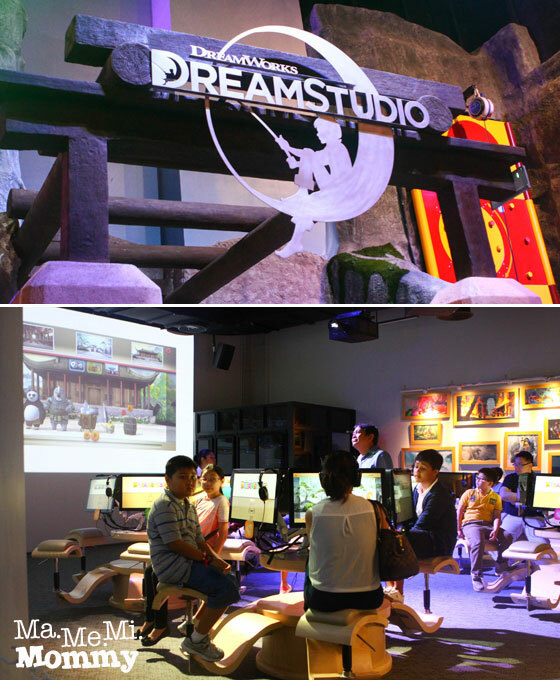 yours is by far the most comprehensive post about Dreamplay. Can’t wait to bring my kids. Hi my friend and I are 22 years old and i have read a comment where we need to bring kids to be able to enter? Hi Jasper, yes, their park rules state that you can only enter when with at least one kid. Hi! Ask ko lang po mam what if we are 8 adults & 2 children? ilan hours po kaya mas ok na hindi mabitin yun dalawa kids na kasama namin their ages are 5yo & 7yo. adults my 2 senior kmi kasama ndi nmn ma bored or mapagod un ksma nmn? pag sunday hindi naman crowded un place? please give advice. Thank you so much. godbless. Will be including this in our go-to list! Thank you for sharing! Hi. My friend is working at Dreamplay as an Attendant for the Character apperance. She said that the Entertainment Attendants that handles the character are not allowed to hold our phones during the meet and greet because their job is to secure the safety of the character and guide the character through out the meet and greet time. I think that the reason why the Attraction operators are allowed to take and hold our phones. Though you can’t tell which is which because they have the same uniforms! Haha! We alsp experience the queue line. We thought it will take forever but since it’s a new place and they’re still in the soft opening phase we should understand. Anyway, thanks for sharing this post! I envy the photos ang ganda lahat! Will read some of your posts also! Thanks again! We are planning to go to DreamPlay before vacation is over. We’re still setting aside a budget for it. Wow, super dami ng attractions! 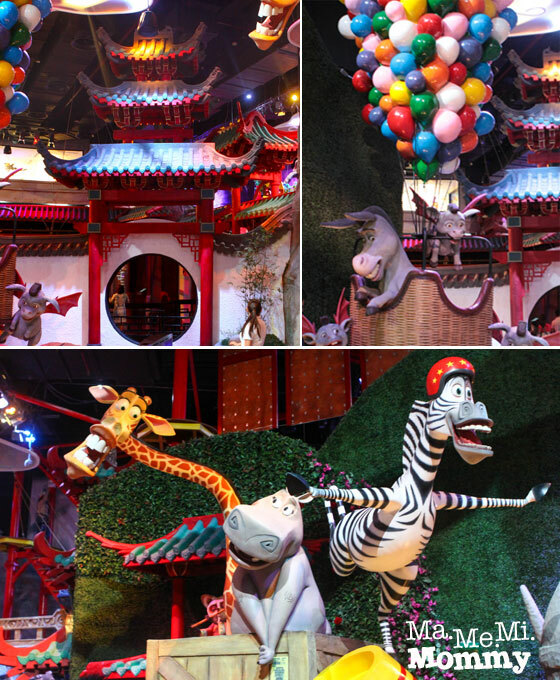 Everything looked so fun and pretty challenging yung sa Kung Fu Panda. I guess customers should opt for longer hours to experience lahat, or at least most of them. Entrance fee is quite expensive but I think mag eenjoy ang mga kids sa mga paakyat akyat. My girls may look like pa tweetums pero para silang mga monkeys pagdating sa akyatan. hello! my family are planning to go there, may i ask if we are allowed to enter if majority of us are adults (5 adults and 2 kids)? 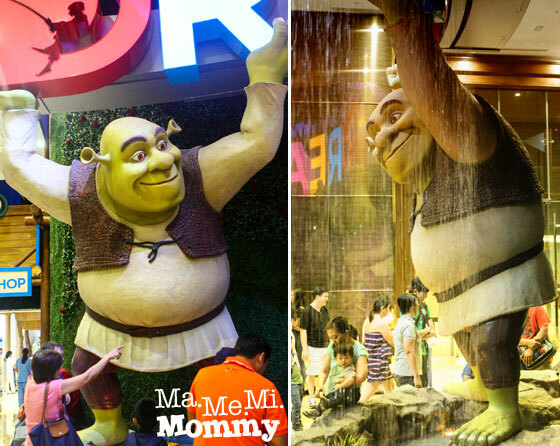 hello po, mas mahal talaga yung entrance fee ng children? Hi Faith, I believe those rates are for participating children. If adult na participating, same rate din as the one indicated in children. Pero if not participating, yung mas mura. Hi Edeliza, I would suggest the 4 hours. 🙂 Bitin ang 2 hours if you guys will be participating. 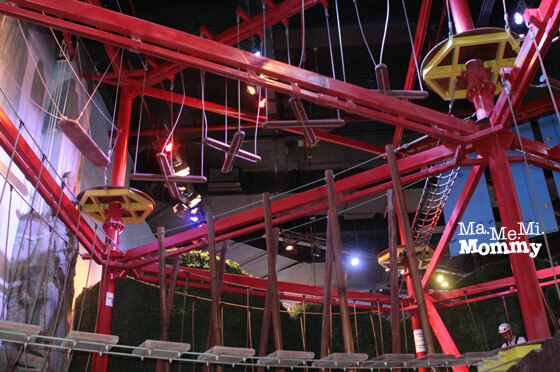 I am planning to go there on tuesday may 5.. is 2 hours really bitin .. .. would you advice me to do the attraction too.. or ilet my daughter do all of yhem .. are they really safe..
Hi Richell, if you are into those things (rock climbing, rope courses) then I would suggest you try it too kasi kakaiba din. 🙂 From what I’ve seen, there are harnesses naman on all the risky attractions. And there’s always someone to guide you. Will a 9 yr old boy appreciate it kaya? Or baka ma-bore na? What if we pay the Kid’s fee, are we still not allowed? I sooo want to get in. Yep, that’s one of their park rules. I wonder if they’ve updated it since a lot of people are complaining about that. Yes, ok to bring DSLR. Hello po .. do u have any idea .. how to get to dreamplay .. I’ll be commuting lng po .. From pranaque … .. than you po …. Hi sis! 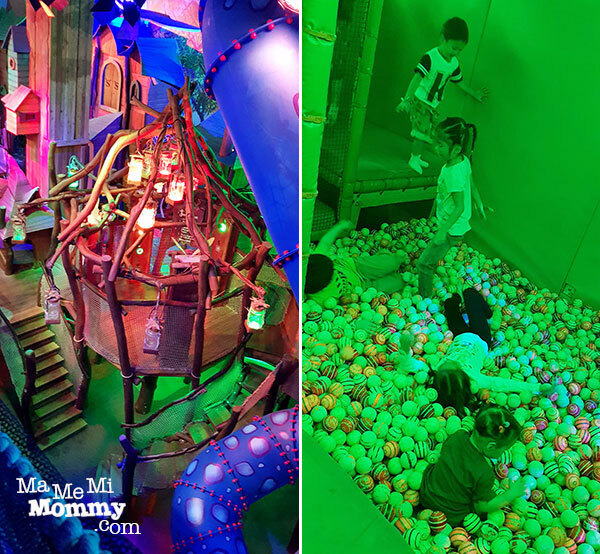 My daughter is turning 4 and would like to bring her there for her bday but undecided what package/ # of hours to choose… i dont think she will be able to enjoy all the activities because shes still quite young. What do u suggest? Should i pay for the whole day option or will half day be enough?? Pls reply. Tnx! Hi Maria. Oh, tough one. I wasn’t able to notice if there were ramps or elevators. 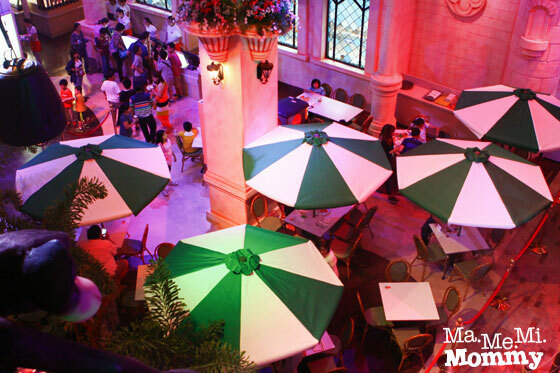 If ever, you’d be able to access the ground floor, which is where the majority of the attractions are. We had really a nice time at Dream Play . Thank you so much for your insights . My children enjoyed it very much . They say 2 hours is too short ,I think 4 hours is the ideal one to really enjoy all amenities. You’re welcome Rosana. 🙂 Thanks for dropping by my blog. Hi! 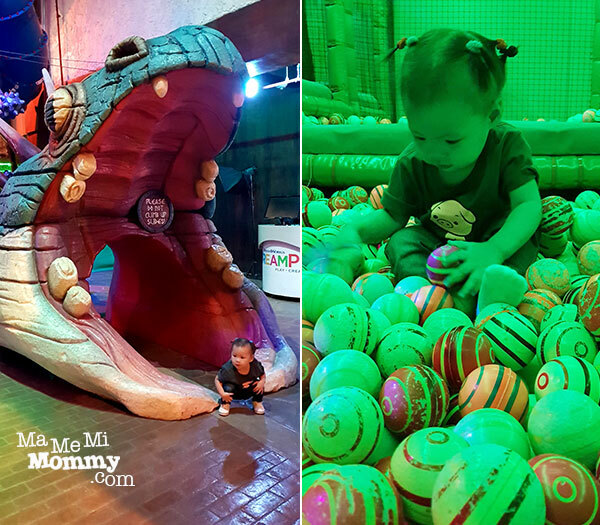 Thanks for sharing your experience, I was thinking of something new to celebrate my nephew’s birthday,eto na po ang sagot! I’m glad I read your blog. Ehehe.. Ask kona din po,hindi po ba pila sa every attraction na pupuntahan? Thanks! Hi Jackie, yes, you can just watch while they do the activities. 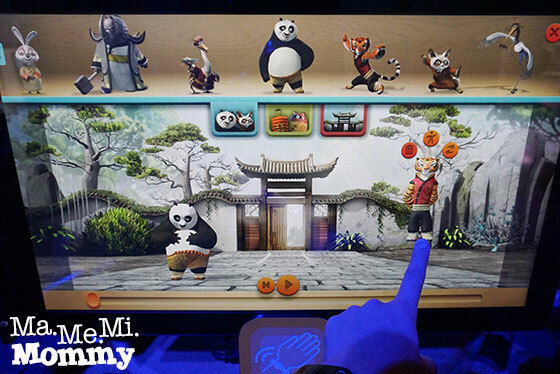 There are other things yiu can do together like the lung fu panda dojo where you act out the kung fu moves, the making and flying a dragon too. can we bring food and drink inside? Cliff, I just checked. Cannot bring outside food and drinks. Only baby food and drinks are allowed. 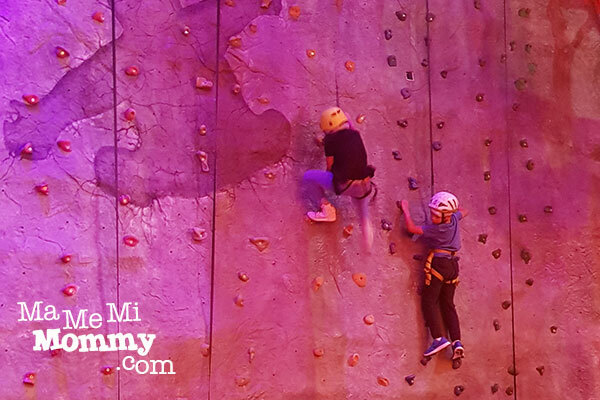 Hi Bea, if you’ll be participating in the activities like rock climbing, rope courses then go for the longer one. Kasi kami sight seeing lang 1.5 hours na. Hi ask ko lang po, me mga souvenirs po ba na binibigay sila? hi, ask lang if what activities suits 8 year olds, so I can decide if how many hours to spend there & if I’m going to take the participating ticket? thanks. Hi! 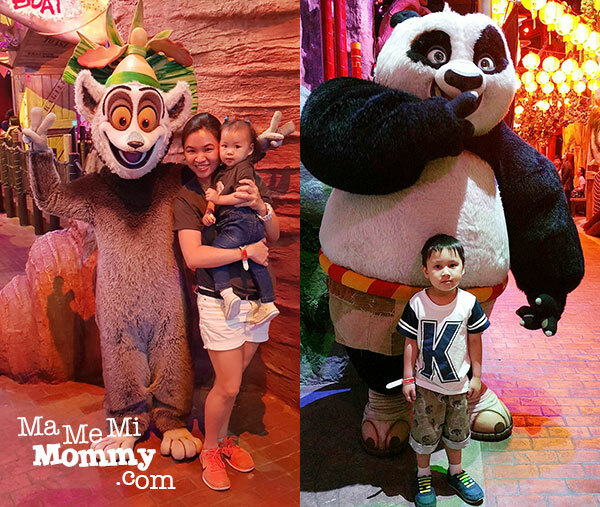 Will bring my 9y/o nephew and my 1yr old…comfort ba if I will bring a stroller? Hi Aila, we didn’t bring our stroller when we went and I felt that it was much easier that we didn’t. There are tree houses (like shrek’s swamp ) that are narrow and have steps and stairs so strollers can’t be used. Hi Jerome, yes, as per their rules, bawal pumasok if walang kids. Thank you so much for sharing your thoughts about the place. Very detailed 🙂 Thinking of bringing my son here soon. Can we bring water inside ? kc mga bata madalas sa water when playing. Pwede po ba? Thanks! Ooops. I just found the flyer, it says pala No outside food and beverage allowed inside the facility. pwede po ba water inside? I’m bringing my 2 nephews pwde po ba nka walking sandals – I mean open toe n no socks? Hi Ging, for that, you can enter but not participate in the attractions. They do require closed shoes for activites like rock climbing. ask ko lang kung pwede bang nakashorts? and ok lang ba yung 2hrs yung anak ko lang ang maglalaro tapos aq lang yung magpicture? this coming sunday po kasi kami pupunta?how much? 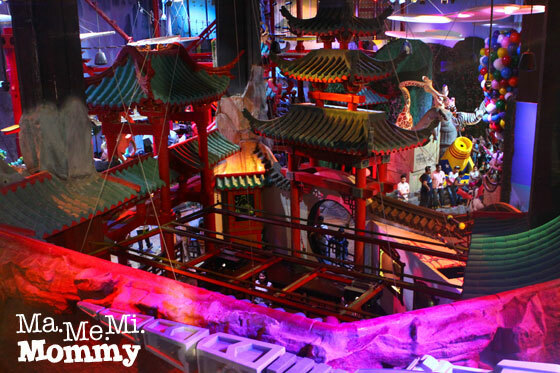 Cheryl recently posted…KidZania, Role Playing at its Finest, and it’s coming to Manila! if you take the non participating ticket, can you accompany them inside the activity area just to take their pix during the activity or not? Hi Stephanie, generally, yes. Like for the rock climbing part, it’s an open area so you can just take pictures while they do it. For the rope courses, I’m not sure if you can enter the area but if not you can always just take photos from the waiting line as it’s visible from there. Yung rates po ba included na dun yung mga activities or rides? Do you have to be a member to enter? Hi Maris, no membership needed to enter. Hi Gen, as per their rules, dapat may kid na kasama to be able to enter. 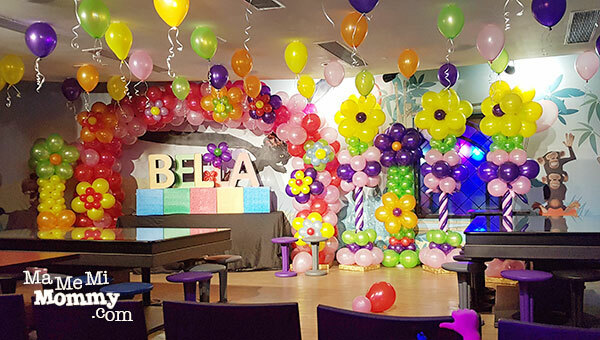 Is this also a good place for kids 5 years old? Since my kid doesn’t know those dreamworks characters that much since she’s a disney junior (sometimes cartoon network)kid. If so what would you suggest for a family with 3 kids.. 2 or 4 hours? Hii! I’m 17 and my friend is 20. 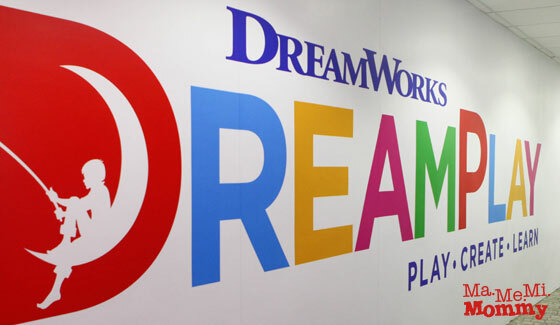 Are we allowed to enter dream play? What is the age limit ba to be called “children”? Hehe. And do they require any proof of the age? Kasi some people say I look mature for my age. Thank you! Hi kesh, I think they consider ages 12 and below as kids. I’ve heard from others who got 4 hours, sakto naman daw for them. nka punta nkmi before na may kasamang bata kung pupunta lng kmi na teens ok lng ba kht walng ksamang bata? Hi, if participating adult same din ba ng fee? Hi Mon, yes 2 hours is okay if 4 and 2 years old. If participating adult, it’s the same fee for as the participating child. Hi, thanks for the information my son Derrick 5yrs old is so excited to go there. How can we get there if we are from MOA? Hi, can the kids be 4 hour participants while the parents take 2 hours as non participants? Is there an area where they can just wait for the kids to finish? hi sis.. goodmorning.. ask ko lang bawal talaga kung walang kids na dala?? balak kc namin ng pinsan ko na pumunta dun.. 20 years old na kami parehas. Hi Marriane, yes, talagang nasa rules nila that they don’t allow if walang kids. For the protection of the kids daw inside. Hi, I’m a visiting tourist.. just want to find out whether there are any bathrooms or showers inside? I notice there is a pool? There are bathrooms inside. I doubt if there are showers. There are no pools inside. maari po bng i consider na kid ang 19 yrs old na dalaga pero isip bata po cya autism po cya. Hi Monica, not sure po how they would treat such a case. Do try to contact them and ask about it. We’re planning to go to Dreamplay this December. I’m wondering, are cameras really not allowed inside the park? I mean, sayang naman if hindi pwedeng magtake ng pictures inside. Ano po dapat ang ticket na bibilin pag ang baby ay 2 years old? Balak po namin by this saturday kaso pag toddler sa theater and library lang. Pano po kaya yun? kindly update price range, thanks, google results put your website in top 5.
not really sure if available pa yung non participating option, I checked their website for my son’s pre 8th bday gift, seen no information with regard to that matter. hi! I just have a question. My son is 2 years but his height kase is more than 100cm na.. do they charge according sa height? or age? Thanks! Hi Jhanis, I think it’s by age. Maybe you can try to bring an ID with his birthday to validate that he’s just 2. Pano yung mga isip bata ? Like 22? Bawal pumunta ng walang kasamang bata? 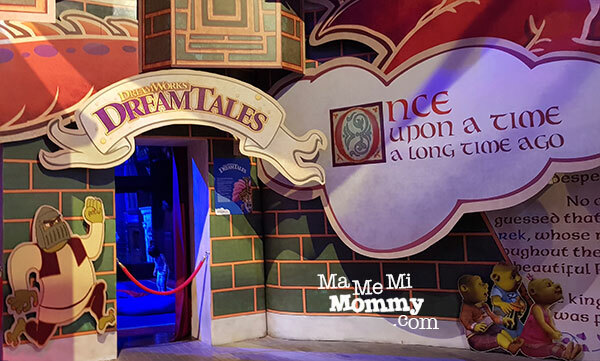 Adult visitors without children are NOT ALLOWED to enter DreamPlay???? What do you mean by this? Hi Cho, as the place is catered to kids, (as per their management), this rule is made to ensure the safety of the kids. Hi! Ask ko lang bawat attraction po ba may fee rin? Or kasama na yun sa entrance? My kids were supposed to have a field trip in here last December but the school had to change the itinerary. My kids would have love this! Hi, can 2 parents accompany 1 child? or is it 1 kid 1 adult only?